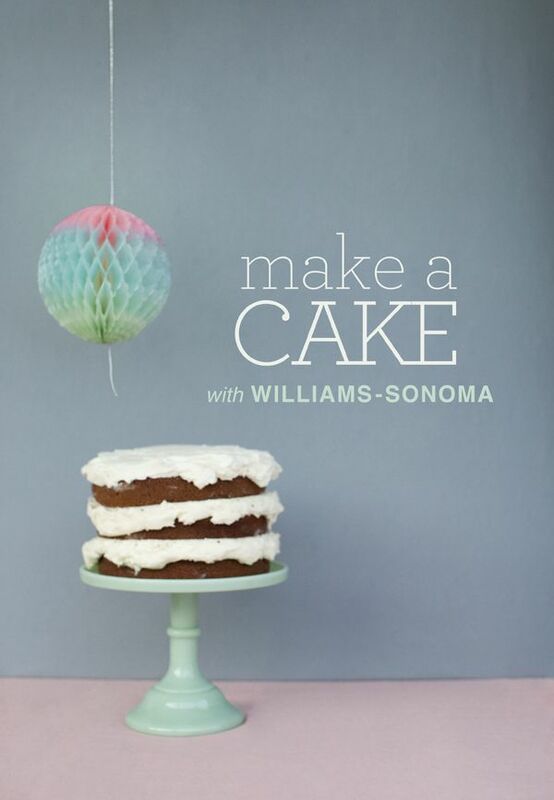 There is something you really must know…I love Williams-Sonoma. No, really, I love it. I wouldn’t consider myself much of an expert in the kitchen, but a glance through the catalog or a stroll through the store makes me feeling like Julia Child in the making. So today I’m especially excited to tell you that this week we are giving away one $250 giftcard to Williams-Sonoma! As you can tell, we’ve been making a few wedding cakes here at Once Wed and let me just say that we would couldn’t do it with all the baking essentials that Williams Sonoma offers. To start you’ll definitely need a KitchenAid Mixer–every kitchen’s most necessary appliance. Then of course there are pans, measuring cups, oven mitts, etc. Williams Sonoma just has it all–and not to mention that everything is so pretty! First of all, you’ll need to register with Williams-Sonoma to enter the giveaway. If you are already registered, then add another item to your registry to enter and include this item in your comment. Next you’ll need to leave a comment on this post stating that you registered. Then, to make things fun, leave a quick summary of the moment you knew that your future spouse was the one! Also, you can receive an extra entry if you include your public registry link in your comment. We will announce a winner within the next week! Best of luck. I know it sounds weird, but I knew my future hubby was the one when we had our first fight. In my previous relationships, I had never really gotten very worked up during a disagreement. After dating my fiance I realized why: I had never been passionate about anyone I had dated before him. This one simple thing, fighting, that all couples go through, had never really happened to me previously because I never cared enough. My fiance changed that, fast. He made me realize that I had been numb before him. And also that fighting was a very important part of a long lasting relationship. I love him so much for helping me to see that a conflict free relationship isn’t always what it seems, and teaching me that imperfection can be perfection. Just added the Morgan flatware set to our registry. I could lie and say I knew Jon was the one back in 10th grade biology, when I stared at the back of his head for a whole year and wrote his name all over my notebooks. But honestly, I knew Jon was the one when we went out for drinks, just as friends, and he pretended to puke really loudly into his dress shirt pocket. That’s love. ps: I’m registered…and added a slider burger press! Yummy! I registered for the * Multicolor Ceramic 7-Piece Mixing Bowl Set . I met Sam in college at the University of Texas. We didn’t know each other too well, but we would always catch each others’ eyes at parties (probably when I knew he was the one). We ended up sitting next to each other in a random oceanography class, and getting to know each other became over 6 years of love, travel, fun and cooking! We love to cook together. Sam and I were already registered when I read this post, so I added a set of cake pans to the list. We are very excited about all the baking tools from Williams-Sonoma. Last night we made oatmeal chocolate chip cookies with a hand mixer, but we’d love to purchase the Kitchen Aid Stand Mixer! That thing is awesome. Thanks so much for giving us the opportunity to win! I registered at Williams Sonoma! So many great things, it was hard to choose! I knew my fiance Christopher was the one when after only 2 months of dating, I went to Italy for a semester to study abroad and he wrote me long letters every single week. It took a lot of time, effort, and money on his part, and I saved every page and still read them from time to time. Now it is 2 years later and we are getting married in just a few weeks! I just added the Komen pink stand mixer! I just love it. Hello there. I am happy to have a chance to win in the Williams-Sonoma giveaway. My fiance and I have registered with Williams Sonoma. My favorite of the items on our list is the Breville Electric Citrus Press (seen here: http://www.williams-sonoma.com/products_r/6882237/?registryId=2620015&fromrgl=1). My fiance goes bonkers for fresh squeezed juice… and this would make the often tedious task a bit easier. When my fiance Chris and I had first started dating, I was vegan and he was, and is, the epitome of a carnivore. Chris at first tried his best to convert me back to the wonders of red meat, cooking bacon every chance he had so I could smell it and give in. I stuck it out for a little while longer, but eventually decided to slowly introduce pasture-raised meat back in my diet. The day I had decided, I had a bacon cheese burger for lunch, but that night when I came home, Chris had prepared a vegan feast for me. When I walked in the front door he said, “Even if you don’t love bacon, I’ll still love you forever.” And that was when I knew he was the one. I registered for 4 small Apilco Soufflé Dishes. Sam and I met in Hollands at a summer program that lasted 5 weeks. About a month later he visited me in Argentina, where I was living at the time, and as a gift he brought me The Elements of Style by William Strunk, with illustrations by Maira Kalman. That was when I knew he totally got who I am and we were meant to spend the rest of our lives together. So just joined the registry and went a little bit happy with stuff, but it was all necessary, so it’s totally justifiable :-) Probably what I’m most excited about that I just added was the cookbook for brides & grooms, we love cooking together so this would be a great addition. I knew he was *the one* when I found out after a few years of dating he does silly stuff just like me and appreciates all my crazy antics and whimsical nature! I just added the monkey bread baking mold. I love monkey bread, my fiance and I always make it for Thanksgiving. I seriously knew my Christopher was the one for me the second I saw him. He was wearing his HS band uniform and still looked really cute. That’s true love! Seeing as how I just updated my registry yesterday and I was almost positive I had the entire store in my registry.. I had some trouble finding anything but added the Pantry Essentials Canisters. I knew Josh was the one when he sang to me on our second date. We had known each other since I was a freshman in High School and had finally gotten together 4 years later. He had written me a song and sang it to me for our second date. I just added the Silpat Cookie Sheet Liner to my registry. I knew Adam was the one when we met nine (yes 9!) years ago. This was back in our HS days… his mother and my friend’s mother had a mutual friend who thought it would be a great idea to set Adam up with my friend. Being high schoolers, blind dates were not the norm, so she had me and a few of our other girl friends over, and he had some of his boys come along to hang out. The minute I saw him, I was interested, and hoped that my friend wasn’t. Lucky for us, she was not, so Adam became mine! From that day on, I knew he was the man I was going to marry. I just added the All Clad Steel measuring cups and spoons. Can’t wait to use them! Eddie and I were friends for over 3 years before we started spending time together. His friends told me that when we first met he took a liking to me right away. Around the time that Eddie felt he wanted to try and get to know me as more than a friend I decided to take a year long trip overseas. Sadly, Eddie kept his feelings to himself and I left never knowing how he felt. Once I came back Eddie pursued me and although I wasn’t interested in a serious relationship at all he made his feelings clear and I told him I just wanted to be friends. He said to me, “That’s fine…how ever long it takes. But in my mind could we be dating and in your mind we’re just good friends?” I knew he was a keeper when I realized he’d wait forever for me. ive already registered but i added the Multicolor Paring Knife Set. i knew my fiance was the one when after years of dating i still getting butterflies in my stomach when he kisses me. I’m registered at Williams-Sonoma now! I registered for TONS of baking supplies, but I especially want the Lattice Pocket Pie Mold…. PIE COOKIES! And I met my fiance a little over 4 years ago, and I’ve known from the start that I could spend my life with him. He is just such a great person, and we really balance each other. I really can’t imagine life without him anymore! I added a set of biscuit cutters which I realized I needed just yesterday when I made homemade biscuits and gravy…yikes! Neil and I have been together for 5 years and in these years, I can honestly say he has made me a confident, thriving, and just all around better person. The moment that is sticking out in my head of when I knew Neil would be there for me through thick and thin was when we found out we were expecting. I was a waitress in a nice restaurant and both Neil and I were full time students with a year left in College. This was not part of our plan by any means and we were not ready for such a big life change. I was so scared and just wasn’t sure how we would be able to afford another human being and finish school and work when we were having a hard enough time supporting ourselves and keeping our sanity. When I called him to let him know the life changing news, the first words out of his mouth were, “you’re going to be even more beautiful. We can do this”. That is when I knew I could count on Neil for the rest of my life. We now have a beautiful 2 1/2 year old son, we’ve graduated from the University of Kansas, and I am looking for jobs while Neil is furthering his education and getting a masters! I couldn’t of asked for a better life partner! I just added the meat grinder attachment for the kitchenaid mixer. homemade burgers here I come! My fiancee and I were already registered at Williams-Sonoma before we saw this contest. I went back and added an Emile Henry Auberge Pie Dish to our registery. Growing up, my parents would always cook homemade pies and I knew that we needed something like this to keep my family tradition alive. Andy and I are registered at Williams-Sonoma and I just added the OXO v-Blade Mandoline. Hopefully we will be able to use this to make prep for vegetable gratin a whole lot easier! I registered for a griddle pan – so excited! My partner Abby and I were friends all through college, and played on the same softball team. I was hospitalized for 3 weeks after a bad softball injury, and she came to visit me every day with some kind of homemade treat. That’s how I knew she was the one. OMG… I love the ice cream cone bowls!! Our registry ID is 2611448. After a crazy year of his grad school schedule, a change in job status that required me to be on the road serveral days a week, and a death in my family, I realized that I was lucky to have such a caring and supportive guy in my life and I didn’t want to live without him. I’m ALWAYS registered because I want to make sure friends and family know exactly what I want! I just added the Kitchenaid Stand Mixer Pasta attachment to my registry! I knew my husband was the one when we kissed for the first time. It felt SO different and SO right I just knew I wanted that feeling forever! This was actually quite difficult to write because I cant think of the exact moment that I knew he was the one. I guess I just knew from the beginning that he was the one and I never paid close attention to special moments. I guess the moment I knew he was the one was when I shared some dark secrets about myself that I never shared with anyone. I wanted him to know everything about me and instead of running away like I thought he would he smiled, hugged me very tightly and told me that he loves me. Just added the Le Creuset Fondue Pot. My future husband (we’re getting married in December) and I had fondue for our first date and we’ve always wanted a fondue pot. The Le Creuset pot is just what we’ve been looking for and will be a wonderful addition to our kitchen especially for a post-wedding party with our close friends. We were set up by his boss and spent the first few months on the phone (we lived in different cities). When we finally met in person and I couldn’t stop smiling, I knew he would be my partner for life. Thanks for the contest! We already have a Williams-Sonoma registry, but I just added the Le Creuset 9 quart red dutch oven. I’ve been wanting that sucker for a while! I wish I could pick just one moment in which I realized Darren was the one. But like most things in life, it developed slowly over time until pretty soon I couldn’t imagine my life without him! The moment I knew he was the one was a moment of revelation. After a year and a half of fighting like crazy, we were still in love we were still together. We were committed! Heritage Bundt® Pan. Love Love Love!!! I just added the Heritage Bundt Cake Pan and the All-Clad Stainless Steel 3-Piece Mixing Bowl Set to our existing registry. There really wasn’t a specific moment I knew he was the one…it was a feeling I had pretty much from our first real date. I just registered! I really knew one day when we were out for a walk on a snowy day. We sat down on a bench on top of a hill looking out on snowy Wisconsin farmland and I just knew that I could never be without him. A few months later he proposed in that same spot. One of the first times I met him, he told me he had a cat named Meowcolm X. I bust out laughing. I think that was the moment I knew. I just started a registry for my February 2011 wedding :) I loooove Williams-Sonoma! I’ve added the “de Buyer Mandoline ” so that I can make yummy sweet potato fries! I knew he was the one when he volunteered to go to a family party only after 2 dates….that takes courage with my relatives lol! i’m not sure i had a “moment,” which kind of makes sense to me. it took me awhile, but when i realized that my fiance was the one i wanted to come home to, i knew he was the one. I knew David was the one one our first “official date” when I flew out to LA from TX to visit my brother (and him). We started the evening with a helicopter ride across the city as he pointed out all of the places he would show me. And he has! I just added the All-Clad Stainless Steel Measuring Cups and Spoons to my registry! I knew he was the one when he stayed up all night taking care of me when I was sick! I added the Glass Domed Cake Plate/Punch Bowl. I usually go for the totally practical stuff but I just love this piece. And it’s still practical, right? It didn’t take me long to realize how perfect we are for each other. He’s truly the ideal complement to most of my weaknesses, and I’m the same to his. We had a difficult couple weeks to get through at the beginning of our relationship, and it seemed like nothing could rattle him. He’s always so objective and patient. I truly feel like we are unstoppable together! I first realized Adam was the one after our first fight. It wasn’t a big fight, and it was over the phone. 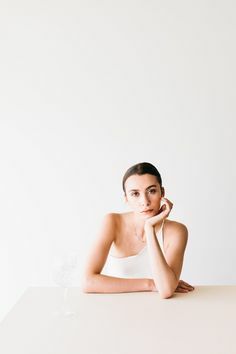 I was so used to the fighting followed by a few days of silence cycle I have found myself in with so many other boyfriends, I was completely shocked when he showed up at my door to talk things through. Especially since it was 3 AM! That’s when I realized he wasn’t someone I wanted to give up on either. Here’s the link to our registry! I have a registry, but just added a “man tool” to keep the soon-to-be Mr. happy. We added the Taylor Mini Grilling thermometer set of 4. I would say that I knew Philip was the “one” during a late-night after work. We talked (and drank) for most of the night, and realized how much we had in common. That was 5 1/2 years ago, and I just waited for him to make it all happen! OMG I really want that mixer!!!!!!!! it wasn’t a moment per se, but the more we talked about our love of food and cooking, and then started cooking so well together, i knew we were a match. we’re already registered, so i added round and rectangular tart pans! I knew he was the one when were watching “New Jack Swing Weekend” on VH1. We both new all the words to all the songs. At one point we both broke out in dance and made plans for a New Jack Swing aerobics class – coming soon to a gym near you. I just added the Mesh Sugar Shaker. I remember my grandmother having one very similar, and I always loved it. I know that this is going to sound ridiculous, but I realized that my fiance was the one while we were watching the new Star Trek movie. While I personally am not a fan of sci-fi or his other various nerdities, if you will, I fell in love with his enthusiasm, passion, and wonder. Maybe it’s cheesy, but I guess, looking back on our last 5 years, that I always knew. I can’t wait to be married and celebrate our live together with our friends and family. We’re already registered at W-S, so I just added another item — a hickory lazy susan. I like to joke around and say that I knew my future hubby was the one because he first told me he loved me while we were standing in The Container Store (a.k.a. the mothership) :) but actually, I knew he was the one when he took such good care of me after I had all four wisdom teeth pulled at once. I buckled and added the tortilla press to my registry. What good Arizona girl could NOT put that down? I think the moment I knew my future Mr. was the one for me was one day when I was being just off-the-wall weird and emotional. I took a second to collect myself and apologized, telling him he had no idea he had agreed to date someone as weird as me, half joking but half serious. He looked at me and said with total seriousness, “Normal is boring.” I’m seriously considering getting that engraved on our rings now! I just added the Calphalon Contemporary Stainless-Steel 13-Piece Set to my registry! I love stainless steel. I knew my fiance was the one when we graduated from college, and we spent 14 hours in the car together driving home. We’d been dating before that, but I realized the conversation never got old in 14 hours – and that he was perfect for me! I’ve registered with Williams-Sonoma! So many fun things, most excited about the stand mixer ;). Thank you for the opportunity! I first knew… well i really felt i knew or at least had my hopes the moment I saw him, two blocks away when he was coasting in to the food co-op on his sleek road bike :). And amazingly, from our first date onward pretty much every day together reaffirmed my first feeling, including the novelty of fighting (b/c i cared) and i still feel incredibly lucky like he’s the universe’s gift just for me! I’m so excited about all of the gorgeous things on our registry — here ya go! In racking my brain to try to think of THE moment I knew about my guy, the closest I could come is the first time we carved a pumpkin together. I expected to be the one who was jazzed, but he put the operation into overdrive and carved the coolest pumpkin ever. I was done for. then again maybe it’s these mini tier caklet pans because they are SOOOooo cute! ahhh i might end up adding the entire site! so i met my favorite man ‘to be’ in college (where during one semester, he intentionally sat apart from me, on the other side of the room because he thought i was ‘pompous and arrogant’) and we fell tumbling down when we got assigned as extra credit partners, in an entirely hilarious story…but basically i knew he was the one when, despite the fact that he had expressed how much he liked me, he encouraged me to get back together with my recent ex if it would make me happy because he knew that ‘i wouldn’t have chosen a total jerk’ and that there must have been a good reason for the mix-up in communication…and he was serious..so right, who wOULDn’t want to marry that?? <3 the site and the work! I am registered! (thru annadonlohio@yahoo.com). Ok, so our wedding is over 8 months away, and someone already bought a tablecloth off our registry! I guess this contest is a perfect excuse to replenish the request list. :-) I just added the Le Creuset Teakettle in the Flame color. It matches the other Le Creuset pieces we registered for, and I realized we didn’t have a kettle on there. I knew my fiance was the one when I was worried about losing my job, and he reassured me that we would take care of each other and get through it no matter what. He’s truly amazing! What a fantastic giveaway! I just added the chop and scoop cutting board, and the Bride & Groom cook book. My fiance and I have come to love cooking together, so I think it would be a lovely addition to our kitchen! I knew he was the one when we were at a Met’s game about 6 or 7 months after we’d started dating. We were walking to our seats, and they were playing the cheesy “untz-untz” dance music, and he just stopped, turned to me and started dancing in the most ridiculous way possible. I knew then that he’d do anything to make me laugh, and that is the mark of a definite keeper! I just added the Pineapple Upside Down Cakelet Pan, so so cute! I just added the Kitchen Torch to our registry, check it out! http://www.williams-sonoma.com/registry/2551681/registry-list.html. I have always wanted one of those! Its hard to say when I knew Jon was the one, we have been together for over 8 years! but one moment that stuck out when he came to visit me (we were long distance for two years) and we went out to dinner, and both decided it was a good idea to eat our dessert first! I just added the Breville juicer to our registry. I love Williams-Sonoma! I feel like I knew my fiancee was the one pretty early on, and I think the moment was when we started talking seriously about getting a puppy together. : ) The way he talked about being a family and the fact that he was the first person I wanted to have a family with was how I knew. Now we have a wonderful dog and are getting married to make our “family” official! I just added Peugeot Nancy Salt & Pepper Mills to our registry! I can’t get enough of Williams-Sonoma. I told Jonny before we started dating that I didn’t want to date him unless I thought we were going to get married. He was from England and was only in California for a short-term project when we met in San Francisco, and I had just moved to the city to start a new job. I didn’t want to jump into a relationship that was going to turn into a long-distance one within a few months unless I really thought he was the one. Jonny convinced me, though, and one year later, we’re engaged and getting married! I love Williams-Sonoma and everytime I step foot into the store I want to buy everything. Before we started dating, we knew going into this relationship, it would lead to marriage. The more deeper we got into our relationship, the more certain I was that he was the one. It was the way he looked at me and the way he treated me. He always made me feel like I was the only girl alive in the universe. I loved how he cared for my family and was always trying to hang out with them too so that they would get to know him better. He is truly perfect. hi, hi. i added a juicer! yes! the first time logan held my nephew… wait, that was the day after we decided to start dating. woops? I just added the Vita-Mix Professional 500 Blender! I need a blender that I do not have to constantly stop and stir. Disclaimer: My husband is my best friend’s older brother. So, before we were dating my best friend and I were babysitting her cousin and my nephew. My nephew is like my child and we had just come back from the pool and they were both soaked and Tyler happened to just be getting home from work. My nephew, Milo, ran up to him and hugged Tyler and they had never met before. Milo and Tyler became best friends shortly after that and have been since. That’s how I knew I wanted to marry him before we were even dating because I always said if Milo approved I would marry the guy! I love my William Sonoma Registry! I just added the 5-cup flour sifter! We just registered and had so much fun picking items for the new list! We were good friends in high school– he would always stick around to give me a ride home from our play practices in his green VW Bug. And I would make random calls in the middle of the night just to chat. He asked me to Senior Prom but I said NO b/c I was anti-establishment. ha! I just added the OXO Pop Containers. I’m obsessed with keeping the kitchen organized and since I buy a lot of bulk items, these should do the trick! I knew I wanted to marry my fiance pretty early on–probably within a few weeks of dating. It’s hard to explain, but sometimes when you get that feeling, you just know, right? I added the icing spatula to my registry because I saw it on other people’s registries and debated back and forth in my brain if I really needed it… but really its a registry so you put everything your heart desires on it. So this post prompted me to finally add it. I knew Scott was the one for me before we started dating. He invited me to praise and worship and played his guitar and sang his heart out for his love for God. I loved him ever since and knew I wanted him to be mine. In hindsight, I knew when my friend made a joke about us being soul-mates, and I felt lighter afterwards. I just passed it off as feeling awkward. Everyone who knows me knows I’m a little obsessed with weddings, and a guy I had dated previously had always acted disinterested or annoyed. One of the first couple of times we hung out, I bought a new issue of Martha Stewart and he sat on a bench and looked at it with me. Later that night I was on the phone and turned around and he had turned off the tv and had this adorable look of intense concentration as he was studying the magazine. I knew right then I would never want anyone else. I knew my future husband was the one after an act of complete selfless love. I was on my 4 hour trip back to college on a rainy night when my windshield wipers decided to disintegrate. I pulled off at the next exit which luckily had a Walmart. As I was driving through the parking lot, a loser who was cutting through the parking lot at a crazy speed crashed into me. When I managed to catch my breath, I made sure my dog was okay then got out of the car only to have the guy who hit me yell at me for not yeilding to him. Needless to say I was a nervous wreck when the police showed up and took my side (thankfully). I called my future husband who told me he had already called and reserved me a room at a hotel. Later that night, I was sitting in the room trying to get some sleep and he showed up at the hotel which was a three hour drive for him. He came with bubble bath and pair of fluffy slippers! He stayed with me until the next morning just making sure that I was calm and okay. I knew then that this was the person with whom I wanted to spend the rest of my life. I knew the moment I met him that he was the one…except I lived on another continent thousands of miles away. But I really knew when he moved to Europe to be with me! We just started the registry! WS won’t have a link for 24 hours or so. I can’t remember a moment when I didn’t know that Blake was going to be my husband. We’re been together since middle school, and I have letters he wrote me as early as ninth grade talking about how we would get married someday. I feel so blessed that our puppy love has transformed into forever. It’s hard to say the “moment” that I knew, but my mom, who was there the day when we first met, once told me she knew right away, in the first few minutes we met him. helllO! i really hope we win! we LOVE WS! i just added the Microplane Herb Mill. *i’m not sure of the moment “i know”, but i met him for the first time when i was a junior in high school, and without a doubt i knew that boy would be my 1st boyfriend and love of my life. i was right. Like you, I’m a big fan of Williams Sonoma. Today I added the Anniversary Bundt Pan, because there is nothing my fiance loves more than a good desert. It was a no brainer to want to marry Seth. From the very first time we met each other, we felt an instant spark and connection. But the confirmation that we were truly meant to be came about 6 months into our relationship while he was away on a work assignment for an entire summer. During his last week away, I lost my job unexpectedly and was devastated. Even though he had made exciting travel plans after his work was finished, he spent a bundle of money to change his ticket and came home to help me through the difficult time. I was blown away by how selfless and loving he was to support me. That night I Dear diary-ed that night that I found the one for me. hii . just registered. . and added, of course, a kitchen aid stand mixer and the graphite oval staub. i love the look of staubs. i knew He was the one, when i realized how much he made me laugh.. even his jokes that arent funny. teehee. I just finished registering.. there are way too many things at Williams-Sonoma that I would LOVE to have. I especially love Le Creuset. I had every intention to move to California at the end of the summer when my fiance and I started dating. We were just friends at first and ended up spending every day together.. boating, hiking, camping, drinking beers and making each other laugh. As summer came to an end I couldn’t leave him.. I knew he was it for me. So I stayed. …was on our first date when he cooked for me! I LOVE to cook and as my friends will all tell you, I’m always the one in the kitchen. So, when he was cooking for me and was so cute and nervous about it, I melted. We had an amazing dinner that night and two years later are still cooking together and sharing amazing meals every night! This is my williams-sonoma registry and I’m crossing my fingers for the chance to win!! I added the KitchenAid Stand Mixer Pasta Roller Attachment!! coincidentally, my fiance and i were planning on going to willaims-sonoma tonight to begin our registry process. guess i got the process started a little early! 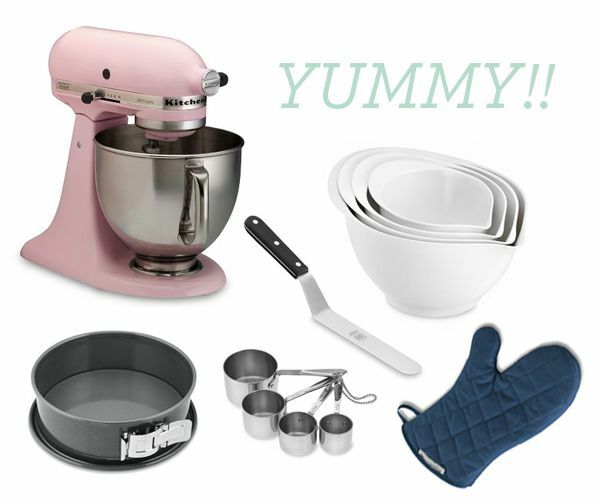 my first item i registered for, is the pink kitchenaid mixer- i’ve always wanted one! on August 24, 2005, i went with my new roommates to a friend’s friends house for a party. we had been there for a while, when from across the room, i saw a really cute guy. i bugged my roommates all night saying how cute he was but obviously wouldn’t go say hi since i’m extremely shy. finally, one of my roommates went up to the guy and told him that her roommate really wanted to talk to him. my fiance took her advice and came over to talk to me. we hit it off instantly and we’ve hardly spent a day apart since. although that’s the story of how we met, i’d never had that feeling from just seeing someone from across the room. i had just gotten out of a long term relationship and wanted absolutely nothing to do with guys at the moment. but i must’ve known something was meant to be with us! I just added the Miele Polaris Vaccum to our registry! We live in the city, Boston – wood floors, smaller apartment, not a huge amount of storage…..after reading the reviews, this seemed to be made for us! The moment I knew…..it’s hard to pin-point exactly, I just know that I couldn’t imagine life without him-he is one of the best people I’ve ever met and I love him to pieces! We had been friends for years. It was kind of a sudden realization that we could try out this dating thing. We stayed up all night talking – and I pretty much knew then. We had been dating about a year when he looked at me and said “I can’t wait to see what our babies look like. I hope they look like you.” So sweet! I added the Kitchen Aid mixer for baking cakes. I knew my partner was the one when I met his family! We’re starting out with registering, but I’m super excited about having a Vitamix blender! I’ve coveted one for a very long time and can’t wait to either get it for a present or get gift cards to buy it ourselves. I knew Steve was the one for me the day after meeting him. I sat down next to him at a work dinner and he made the best joke. I knew he would make me laugh for the rest of our lives. I just added the chrome twist salt and pepper shakers to my registry. This is totally cheesy, but I always knew my fiance was the one… it just took us a while to figure that out together. Chad is such a corny jokester. He is his own “clapper”. He will walk into a room, clap twice and say “clap on” as he turns on the light. I knew Chad was the one when we were hanging up laundry one day. He picked up a dry cleaning hanger (one of the ones covered in paper). He shakes it, turns it over. He proceeds to rip the paper off and then say excitedly “it’s what I always wanted!!!”. He gave me a huge hug and I just fell to the floor laughing. Our every day chores are better together. I love him. I have a registry with Williams and Sonoma and I just added the Kitchen Aid Stand Mixer to my list! Imagine how many cakes I could bake with that thing! I just added the Cuisinart Elite Die-Cast 16-Cup Food Processor to my new W.S. registry. I knew he was the one for me on our second date when he took me out for Thai food and we went beer shopping afterwards (I’m a beer snob). He gave me the perfect date, great Thai and fantastic beer. He’s so thoughtful! Hi! I added the mixer to my WS Registry! I knew Jason was the one for me when I met him at 18 years old in college. 12 years later he finally figured it out too!!!! ahhh, williams-sonoma! the best. i just added a de Buyer mandoline—something i’ve just never gotten around to buying for myself! I have a registry with them. I am so glad to add Williams and Sonoma as one of my registries, as I always love the products williams & Sonoma offers. I had just added the Zwilling J.A. Henckels Twin Cuisine 3-Piece Starter Knife Set with Bonus Steel, as I desperately need some good knives. I don’t know if it’s a coincidence that those knives and my fiance are both German background, who are famous of being efficient. He has been an unpredictable sweetheart who throws me wonderful surprises all the time. I know we will get married eventually even before he propose. I just added the Williams-Sonoma Goldtouch™ Nonstick Mini Loaf Pans, set of 4. I knew He was the one – the one I wanted my company to hire – the first time I met him. I knew he would be a great person to hang out with. I was right!!! Six years later we are married and have a beautiful baby girl. I knew Sean was the one when I couldn’t be around him at all when we first met – he made me so nervous! I created a registry and added a 14-cup food processor to it. It is my first official registered item as a bride-to-be, and one I have been pining for! I didn’t know when he first emailed me, but I did when I met him in person. It was 4th of July weekend so lots of *love* fireworks! I added a handheld milk frother to make milkshakes and lattes! 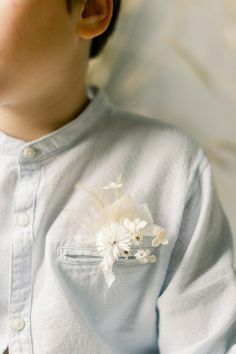 Ive know for a long time Cody was the one, but one day I was wearing EmersonMade flowers as pins. He’s so kind and listens to everything I say, to the point of him knowing what EmersonMade even is. He saw me and said “Nice Emersons.” It’s things like that that are constant reminders for me. I am new to Williams Sonoma, I just registered and found lots of great, wonderful things to add to my registry. We just added the perfect egg timer to our registry. I knew Brian was the one the night he stayed up all night with me, when my sleep schedule was all messed up from working nights. We talked all night, and then he let me watch ps i love you, and didn’t judge me while I sobbed. We just registered for a KitchenAid Artisan Stand Mixer…which I’ve been dreaming of having since I about about 11! My Mom always told me when I got married I could have one! I knew that Blake was the one the night that we met. It was just right…it sounds cheesy but it’s the truth. I ended up meeting the majority of his family the next day when he invited me to go roping at his uncles ranch. 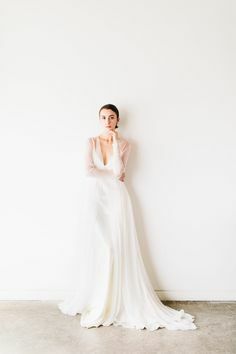 We both didn’t know that his grandmother, most of his aunts and uncles and cousins would be there…but I immediately felt a part of the family and that only made me fall more in love with him. A little over 2 years later we’re engaged and I couldn’t have found someone more perfect than him! I added the Message-in-a-Cookie Cutters and the Le Creuset Teakettle. I am absolutely in LOVE with the cookie cutters. I would use them for everything! My fiance and I totally love to bake together. This would make it even more fun! I plan on adding a ton more to this registry. I was unaware of all the amazing stuff they had! When thinking what to write, I began to realize how much of a fairy tale our story really is. Joe and I met in church as kids. I would have been around 2 or 3 at the time. We never really talked, but I did become great friends with his sister, Abi. Joe was friends with my cousin, Christopher, and I distinctively remember him at my cousin’s birthday party. Although he will never believe me, I definitely had a crush on him back then. In fact, I remember a few diary entries about him! After Joe’s family went to a different church, we lost touch. Many years later, I saw Joe on my cousins myspace page, and was amazed at how handsome he had become! =) I still couldn’t work up the courage to talk to him. Later, I got back in touch with Abi and quickly became best friends. I then reconnected with Joe, and spent many hours talking to him. We quickly built a really solid friendship. He invited me to the Great Lakes Youth Conference at his church, and I eagerly accepted. Unfortunately, I was still much too shy to talk to him. He went to Europe a few weeks later for his senior trip, and would get online everyday to send me an email or to talk. I was so amazed at his love for Christ, and his great attitude. He always was so kind and encouraging, and I really started to want to get to know him more. The first time he called me, we talked for three hours… or should I say I talked for three hours. Poor Joe. I really felt comfortable around him. A few weeks later, we went to a movie with a group of friends. We then started to go to different activities in groups together. I had so much fun every time I was around him! I was in a play that summer, and Joe asked if he could pick me up from my rehearsal one night. We had a random goal to watch all the Land Before Time movies as a joke. As soon as he picked me up that night he handed me a HUGE stack of the movies that he rented. We spent that night talking and watching as many of the movies as we could. Eventually, he worked up the courage to ask me out. The best part is, I had no idea that he had just asked me to be his girlfriend! =) I stayed up late with my mom waiting for Joe to get online to figure out what just happened. I still cannot believe that God blessed me with such a sweet and loving man. Joe, I can’t wait to become your wife. You have been my rock through all the ups and downs of life. Thank you so much for your patience, kindness, and love. You are such a godly man, and I am so excited to spend the rest of my years with you. Joe has always had the ability to make me happy. . . even in the worst situations. Ever since the beginning of our relationship, his love for God has really stuck out to me. I love that I can go to him for any situation and he will help point me towards the Lord. He is the shoulder I’ve needed to lean on many times. I love that he always makes time for me, no matter how busy he is. He is always so helpful to my family. He is constantly willing to help out, even when he hasn’t been asked. I love his patience. Whenever I’m struggling with something in school, I know I can come to him to learn. He is always willing to help me out and explain things in ways he knows I will understand. I love him so much. I know he is going to make a phenomenal husband. I am very thankful that I will spend my life with my Prince Charming. i knew he was a the one when i was stressing out to throughly clean my brooklyn apartment before my sister, brother-in-law, and baby niece were arriving at my apartment for the first time to spend the weekend. my sister is impeccably clean, my roommates and i are arguably not. plus with a little one crawling on the floors, i knew i had to really give it a real deep clean! i was stressed because there was so much to do and not a lot of time. jerod could sense how overwhelmed i was over the phone and came over unexpectedly and mopped my floors! we hadnt even been dating that long. thats when i knew. were excited to have registered at williams-sonoma! I knew he was the one the moment I laid eyes on him. Seriously. And I’m not ‘that type’. He, on the other hand, took a few years, but I think the pinical moment for both of us is when our two year old kitten died very tragically. We knew that only the other person really understood how we felt, and that was something we wanted to share for the rest of our lives. I created a registry and added the Beaba baby cook because its the one peice that i would use in my kitchen everyday for my little one. I knew that Jeff was the one for me when I had given him the key to my house so that he could let himself in before I got off of work one night. My oven had recently died, and I found a replacement. He offered to help me switch the old one out for the new one, especially since we had begun dating I had been cooking for him almost every night of the week. Anyways I got of work probably about two hours after him, and when I got home he wasn’t waiting on the couch like I suggested. He had already pulled the old oven out, brought the new one in. Started to pull the ancient venting out of the floor. He had been working since he walked in the door. Not to mention that the old unit probably weighed 200-300 pounds easily, so moving it by himself couldn’t have been that simple. Wow, this would be wonderful to win! I have my heart set on that pink KitchenAid Stand mixer! :) I registered for a registry. I added a bunch of nice goodies. I just registered, and put the mini-filled pancake maker on my list. I have wanted on of those for so long!! I just registered and will start adding stuff! My fiance and I went to high school together and we always liked each other. I think one of the first times I knew he was the one (cause there have been many times) was when I came home from work late and he was at my apartment and I got low bloodsugar (I’m a diabetic). An ambulance ended up coming because I parked my car in a weird spot by the apartment and someone found me and called 911. I found out later that after he called my parents, he had driven back and forth between the apartment and my work every possible way he could to try to find me. I added the o portable gas grill and also the grill stand. Perfect for us because we live in an apartment and a regular sized grill would not fit on our small back porch area. I added a Yellow Le Creuset Dutch Oven! I knew he was “the one” when we were out on the lake one day, just standing on the deck. We didn’t say anything for about 20 minutes, just sat there with our arms around each other. It was then I realized I wouldn’t want to spend 20 minutes in silence with anyone else but him for the rest of my life! Just registered! Would love that espresso maker for an in home coffee fix! Just added an ice cream maker . . . YUM!! I knew he was the one when he sang Sarah by Fleetwood Mac to me (and this was before we had even started dating). I added the Apple Peeler Corer just in time for apple pie season! Jason and I met at a masquerade ball. I knew he was the one when he was dressed like the grim reaper and I was Little Bo Peep!! Obviously it was a perfect match! I added the Williams-Sonoma Goldtouch Nonstick 6-Piece Essentials Bakeware Set.. I knew mine was the one when after I told him I passed my nursing boards, he screamed and picked me up off the ground! He was just as happy as I was! I’m registered and added the pancake pen. Looks perfect to be able to easily store extra batter! I’m registered and registered for a coffee maker! Can’t wait to make coffee with a carafe that doesn’t cause so much grief every day! I knew my fiance was the one as soon as he got off the plane to see me in Texas. We actually met in college at the University of Missouri through our roommates (who are just got engaged, btw!) but we didn’t care much for each other, at least not openly… :D. However, I got sick and had to go home to Texas for a little bit. Lo and behold, something happened and we got back in touch. We spent hours talking on the phone and he flew in to Texas to see me. I knew as soon as I saw him, that he was the man I was going to marry. I love him and can’t wait to spend the rest of my life with him! I just added the Kitchen Aid stand mixer. This is the dream gift! I think it’s hard to pin point the exact moment I fell in love with my fiance. Maybe the first time I took a trip away from him, the first time he said he loved me, when he cared for me after a surgery. He shows me everyday that he loves me in his own particular way. we are getting hitched on our 5th anniversary in april. Registered! I’m excited about the possibility of getting a stand mixer, but I’m REALLY excited about the ice-cream maker attachment. I already have a Williams Sonoma Registry that I created, but I went in and I added the Kitchen Aid Artisan Stand Mixer in Chrome. I have been wanting one for years….crossing my fingers and toes that I will be your winner. Thanks for such a wonderful giveaway. Registered! I have always wanted the pink Kitchen Aid Stand mixer. I love to make chocolate chip pumpkin cookies (my Honey loves them) and they would be a breeze to make with the help of the stand mixer. I’ve been with my fiance for almost 10 years and love just him as much as I did when we first met. I knew he was the one after a couple of months dating. We were hiking in Yosemite, I was not in hiking shape, he was cracking jokes to keep my mind off of my pain. I knew were made for each other. Had previously registered at Williams Sonoma, but added the large and small nylon spatula’s to the registry! Will go perfect with (and not scratch!!) all of the cephalon cookware we registered for before! We are already registered because Williams-Sonoma is my fiance’s favorite store. We just added a multipot to cook pasta after seeing a chef use a similar one on TV. I knew he was the one the first morning we moved in together. He leaves for work about 30 minutes before me. When I went to the kitchen, I saw a cute note, my coffee cup, freshly brewed coffee and a pastry set out for me to start my day. He is so thoughtful and loves to show how much he loves me. We were already registered, but we added this Microplane box grater — already have a wand one and love it! I might have known my fiance was for keeps when we went backpacking to camp on the California coastline and for some reason didn’t actually bring backpacks. We were so miserable lugging all the stuff in messenger bags tied together, but we still had a wonderful time together. Also, I would completely cherish a new stand mixer! I’ve baked a couple of wedding cakes for friends in the past, and would love to do more — but a lot of our appliances didn’t survive an international move, so a new KitchenAid would be right at home. I’ve already registered at WS, and just added an immersion blender! I was already registered so I added Star Wars cookie cutters for the boy. I knew he was the one as we went camping for the first time and sat around the camp fire telling stories of our childhoods. I started a new WS registry and added multiple Calphlon items! Love that Calphlon cookware! I especially like the Calphalon Unison Sear Nonstick Grill Pan, 12″. My heart knew he was the one about 7 years before my head figured it out. But when we finally became a couple it was the third week of being together when I mused out loud “I’m going to marry that man.” And finally my heart and brain got in sync. I just created a registry; it’s our first one! We love W-S SO much. I’ve known David is The One for so long that I really can’t pinpoint a single moment when I knew I could trust him with my deepest, darkest secrets; I just knew. And so I told him about them, and he really did make everything okay, just by listening. He is my shelter and my home, and I’m so happy to be marrying him. I registered for the registry. I knew Ricky was amazing the moment I met him but it wasn’t until a few months later that I figured out he was the one. We were out on a date and this song I liked came on the radio and I started just kinda swaying in my seat. Ricky quickly pulled the car over to the side of the road, suprising me, and cranking up the music he opens my door and pulls me out of the car to dance with him. It was a perfect moment. Nine years later when Ricky proposed he said he tried to imagine his life without me and couldn’t do it; I feel the exact same way about him. As far as a registry goes I added a wonderful espresso maker. i just added the Breville One-Touch Tea Maker to our registry! I added the Shun Classic Kitchen Shears to our registry, these will be such a time saver in the kitchen! I knew my fiance was the one when, in our first year of college, he surprised me by traveling 8 hours so that we could be together on our one year anniversary. There are a hundred moments looking back when it was just so obvious that The Groom was The One. One of my favorites, though, was the night I was dragging myself up four flights of stairs to our teensy tiny studio apartment on the UES and as soon as I got to the second floor I could smell something AMAZING cooking. By the time I reached our door I was all but watering at the mouth– he had made me a Bacon Cheese Meatloaf for dinner, completely by scratch. (He made it on a cookie tray, which I also thought was adorable.) He was so proud of it! We’ve registered with William Sonoma! And I just added the Vinturi Wine Aerator to our registry! Here’s the link to our registry! I knew John was the one from the first week we started dating! I told all of my friends that I was going to marry this man, and I’m sure they all thought I was crazy, but I was right! From surprising me at rehearsal, to a surprise trip to Boston, he has continued to surprise me to this day! I’m already registered & I just added a Monogrammed Wine Decanter to my registry! I don’t know if there was a specific moment when I knew my fiance was the one, but there are little moments almost every day that make me know he’s the only one i could ever spend my life with. Like, when I see him getting along so easily with my family, when I see him play with my nieces, when we laugh at the same stupid joke (which is usually something we made up on our own), when he tells me he loves me, and when he calls me out for being ridiculous. neither of us are perfect, but we make a great team. We take care of each other and I couldn’t ask for a better person to share the rest of my life with! i just added some ivory handled steak knives to our registry, because steaks are a great birthday precursor to a homemade chocolate cake…. Just registered at WS & added the scalloped cake stands! I knew that my fiance was the one when his best friend pushed him into me in the hallway in 8th grade ;) Even though we have not been physically together for the past 9 years, we kept in touch and got back together last year. I met Mehdi over Margaritas. Margaritas he served me because he was my waiter. We were friendly, but nothing happened until several months and several restaurant visits later, when a night of drunken revelry with a friend of mine culminated in our closing the place down and dancing on the bar to obnoxious Euro Dance Mixes while Mehdi sat by and supplied the liquor, and stole a kiss along the way–hardly the way you envision meeting your life partner. The next morning I woke (painfully and slowly) to a text message: “I hope you don’t wake up tomorrow morning regretting tonight, because I think you’re wonderful and I would like to take you on a real date.” Of course, he won me a little right there, what with properly using the contraction form of “you are” instead of substituting the adjective “your”. He’d been quiet on our date because, in the middle of a city of hyper-motivated, artifice-maintaining movers and shakers, he was listening. Thanks for the contest! 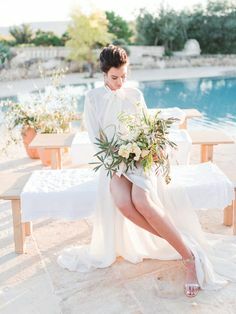 I’m glad to finally be interacting with my favorite wedding inspiration blog! my husband and i met through mutual friends, but the sparks didn’t fly that first time…after seeing each other again on our own, we hit it off (i thought as friends) and he asked me out a couple weeks later….his sense of humor and witty conversation won me over and i never looked back! We're all about weddings and events hosted at historic buildings, especially when they feature lush, garden-inspired flowers and an elegant aesthetic. This refined fall wedding inspiration shoot is the perfect example. 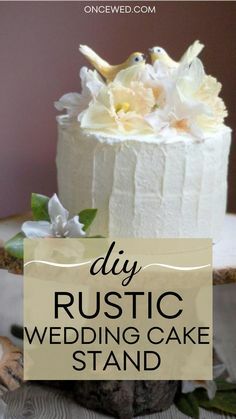 Rustic doesn't mean burlap. 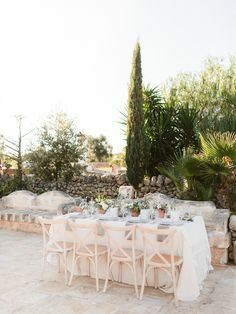 We love the earthy aesthetic this minimal wedding design creates!